Most people, even me, save files on the desktop, mostly the important once. But saving files on your desktop has four major drawbacks, both on Windows and Macintosh. If you use System Restore or any third-party application to backup your data, then the files on your desktop are not backed up by default, unlike your libraries (you can change it though). If you still want to include your desktop files in the System Restore backup, then you can read the steps below. For other third-party apps, you can change this setting somewhere in their options menu. Open Explorer (double click Computer icon on your desktop). 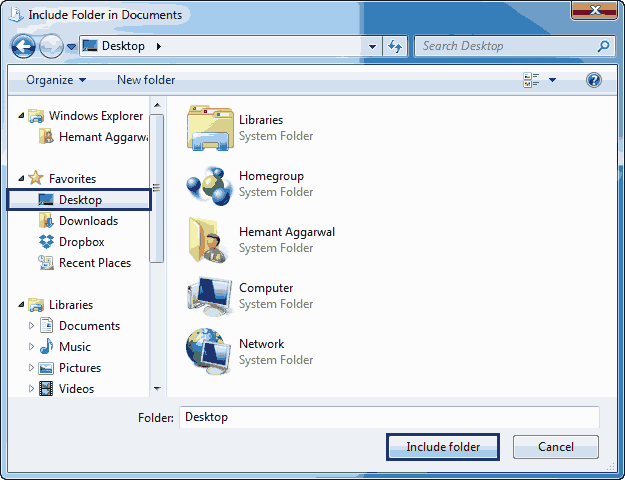 In the windows that pops-up, select Include a folder… and select Desktop. Click the “Include Folder” button and then click on Apply. 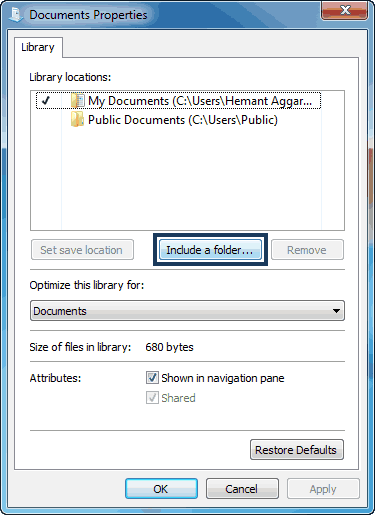 Files or documents on the desktop are not easily accessible as you might expect. They are hidden behind many windows that you open from time to time. You can obviously get to your desktop icons with a single click, but then why not put them to a folder on your hard drive. Having lots of icons on your desktop can become unmanageable, because there is not much you can do to sort them. Arranging them in different folders in one of your hard drive can help you manage all the data, not to mention the safety. Also, you can place a shortcut on the desktop to the folder containing all your files and folders (those you would otherwise place on your desktop). According to a discussion at Mac World, people have reported about their Macintosh machines slowing down because of lots of file at their desktop, and their system started functioning normally once they removed those files. This is another reason for not storing the data files at your desktop. Do tell us your thoughts on this, and if you still disagree, then tell us why you would still save files on your desktop? Original thoughts by PC World.